I love going to London. Even more so, I love discovering different parts of London that I still have never been to. 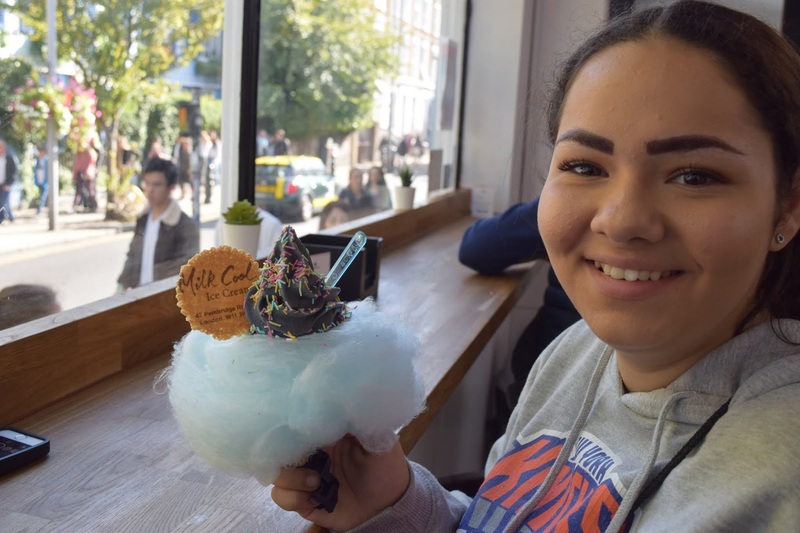 This weekend, I took my little sister Angela with me for a day out to explore one of my favourite areas of London: Kensington. 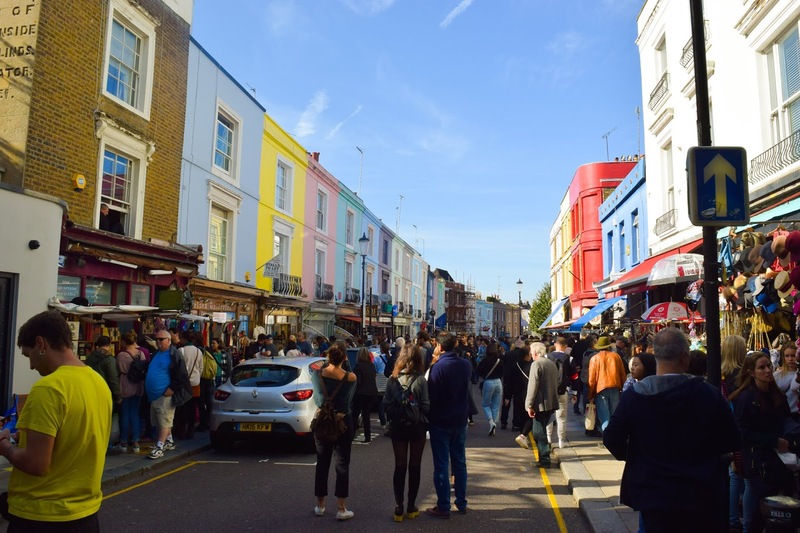 Kensington is such a huge borough and is home to a lot of really exciting places and things to do, so when Hotels.com asked me to collaborate them to explore Kensington's neighbourhoods, I couldn't say no. I know quite a lot of Kensington, but there are a few places I still had never been to and one that my sister hadn't been to either. 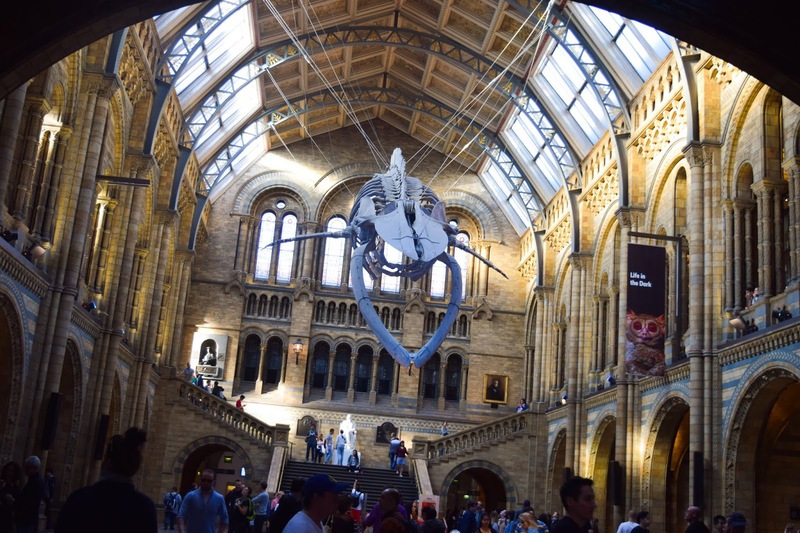 These places just so happened to be: Notting Hill (I know, I'm sorry), Kensington Park and The Natural History Museum. We explored all three of these places and could have explored more had we had another day. 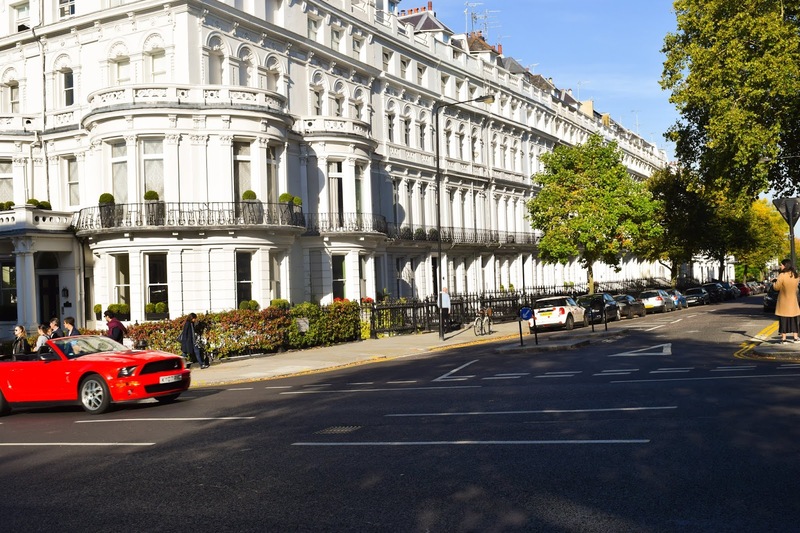 So if you're thinking of visiting London sometime soon there are some really lovely hotels near Kensington that are worth looking at. 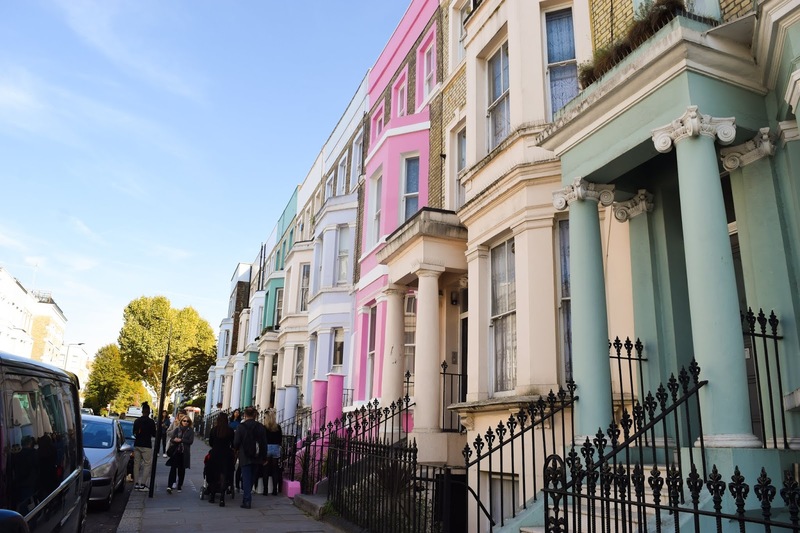 I'd definitely recommend at least two days to explore the Kensington area properly! 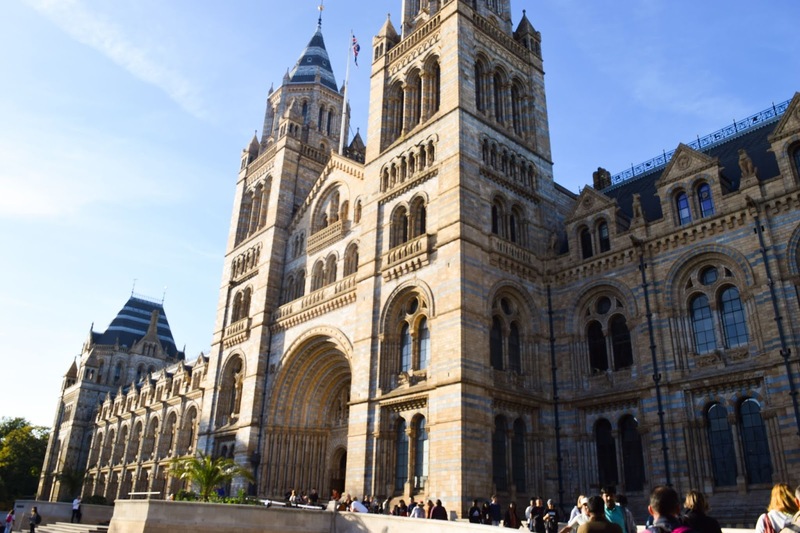 So here's my short guide to a realistic day out in Kensington with a couple of extra bonus recommendations from previous trips! 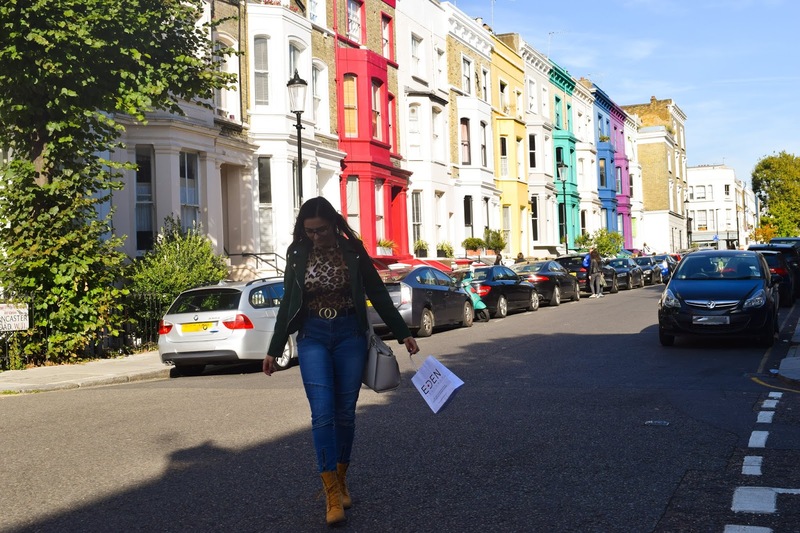 Our first stop was Notting Hill. Having been around Notting Hill before, I'm still baffled that it's taken me this long to go into the heart Notting Hill for the first time. We got out at Notting Hill Gate and without much thought we were able to follow the crowd of weekend tourists towards the heart of Notting Hill. We found ourselves first upon a few really cool shops that I'm already dying to visit again. The first one was a small retro shop with all sorts of childhood memorabilia that I wish I could take photos in but wasn't allowed. 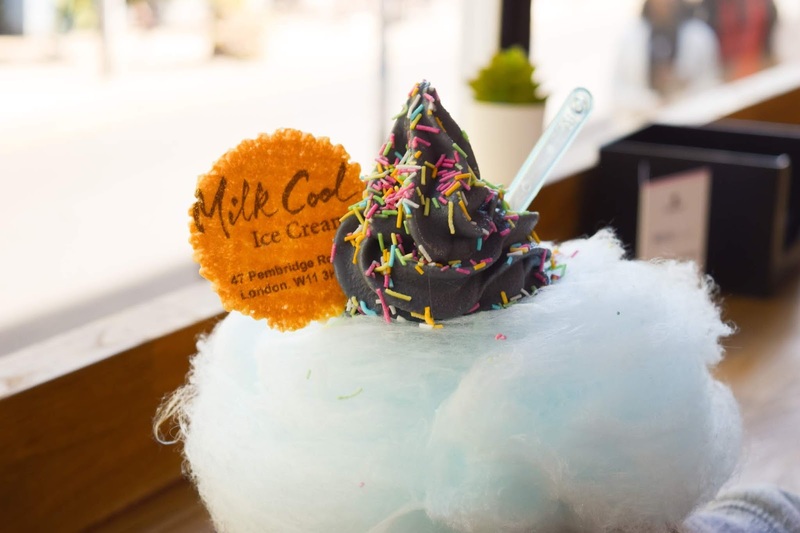 It wasn't long before we found our first 'must-have' dessert shop: Cool Milk London. 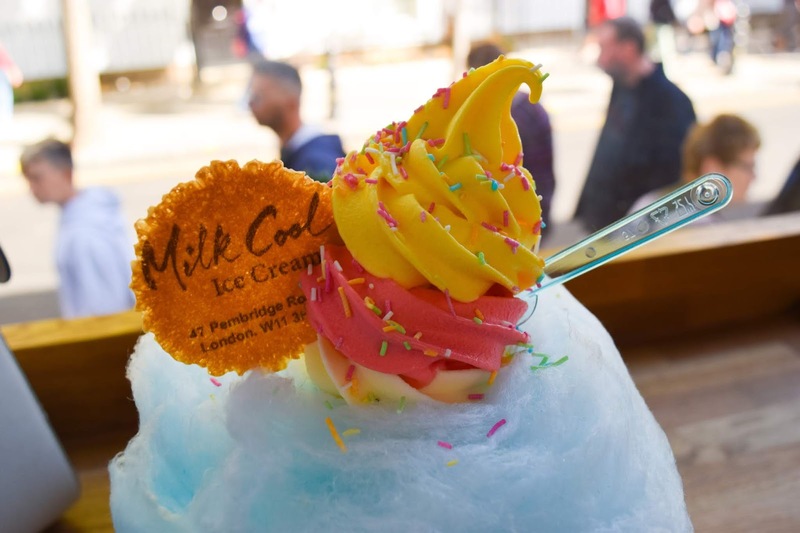 They made the most fab looking soft scoop icecreams and we just had to try it. We'd never seen them before but it was your typical 'Instagram' food all over! 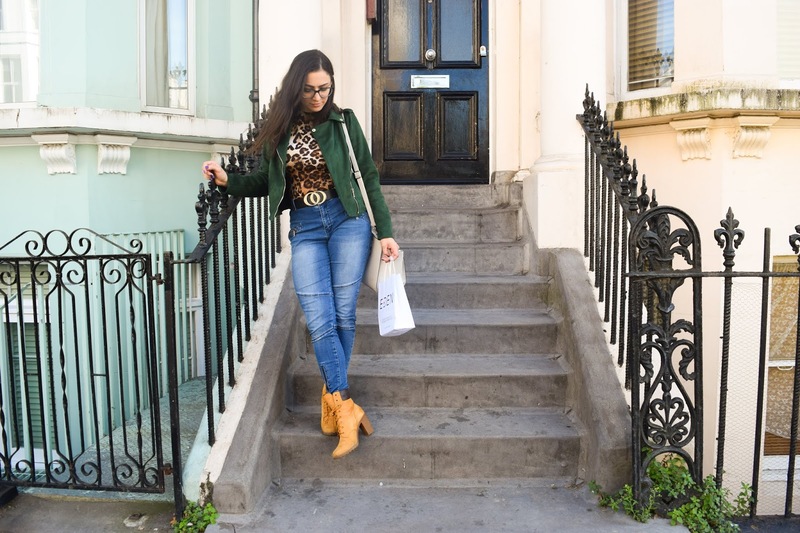 After having an ice cream, we continued to walk down the entire length of Notting Hill exploring all the little shops and the market stalls with the most amazing things. 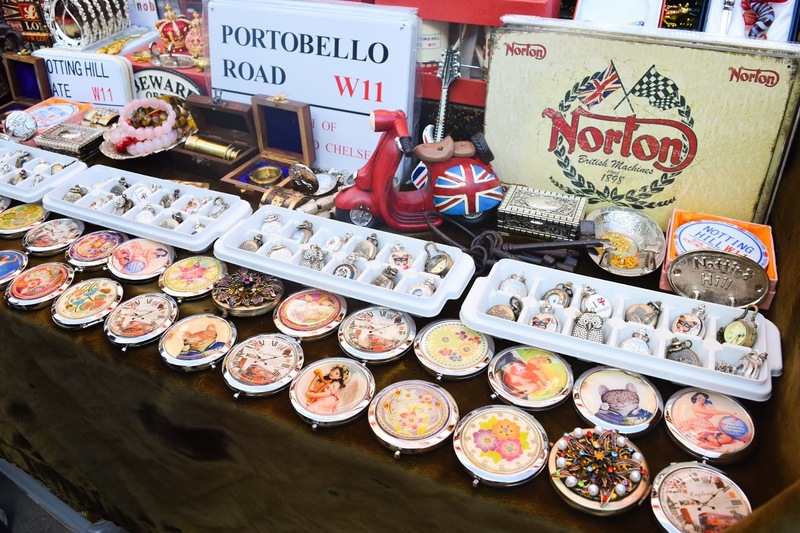 I'd been so put off by the same old thing replicated from market stall to market stall but I was impressed to see a wide range of things, antiques, unique stalls and something for everyone. It was truly wonderful and it made me sad that I'd never been there before. In fact, I'm already thinking of returning for a Christmas shopping trip. We got so lost in all the shops but another shop that stood out to us and actually, we went and shopped in, was a shop called Eden which I vaguely recognised. I wasn't sure where from but I was excited. Eden sells cruelty-free and vegan perfumes that are alternatives to your favourite designer perfumes. So it was inevitable that I'd leave with one for me and one for my sister. In store they were £15 for a small bottle, £20 for a medium bottle. (They are a little more expensive online.) The scent I got was an alternative for Marc Jacob's Daisy because I wanted something sweet and floral and my sister's was a very fruity scent and an alternative to D&G No.3 L'Imperatrice. If you're looking into cruelty-free or vegan perfumes, this place is amazing and I'd definitely recommend it! I'm so glad to have discovered a new place to get perfumes from and at such a great price. 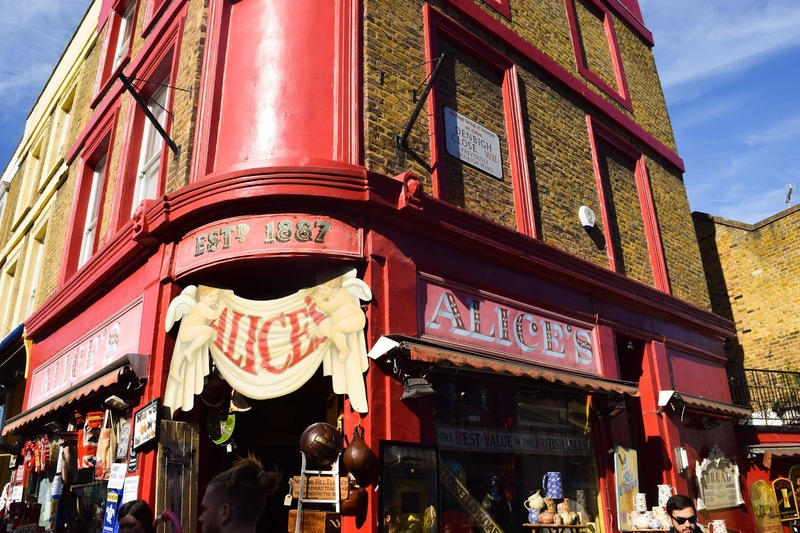 Alice's is pretty amazing inside! It's worth going in just to have a look around. 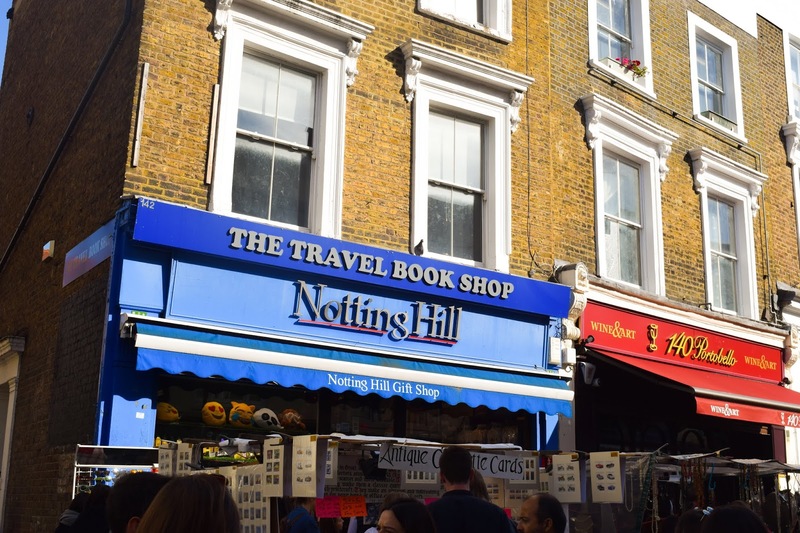 And this is the book shop from the film: Notting Hill! Fun fact: one of the flats from Notting Hill is next to my fave Portuguese Patisserie I mention down below. You see the outside of it for just a short few seconds but I recognise it from being down there so many times. 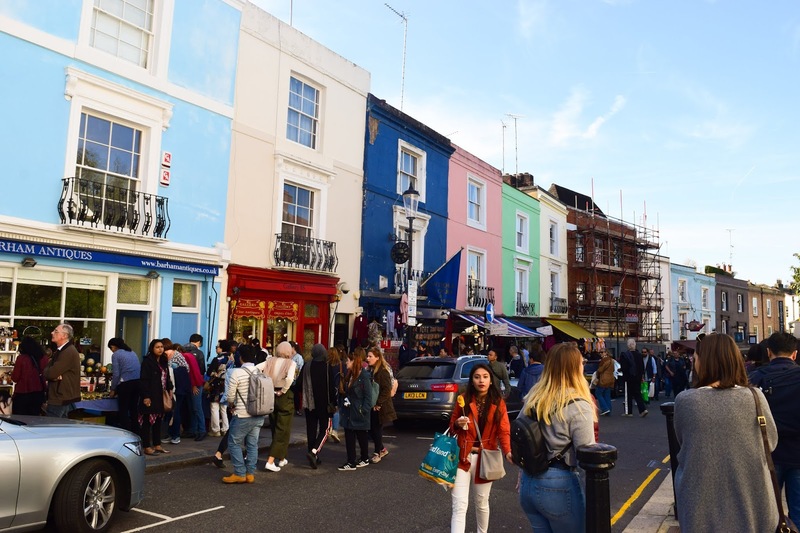 We were down Notting Hill for quite a long time and lost our way in the stalls, shops and down the side roads admiring the colourful housing. It was only when we got to Lancaster Grove station that we discovered the circle line was closed and ended up having to walk all the way up to Holland Park to get on the tube to the next place. We should have actually stayed at Holland park at this point too because it'd slipped out of both our minds that Kyoto Park (the Japanese gardens) were here. We'd forgotten because we'd been walking for so long! 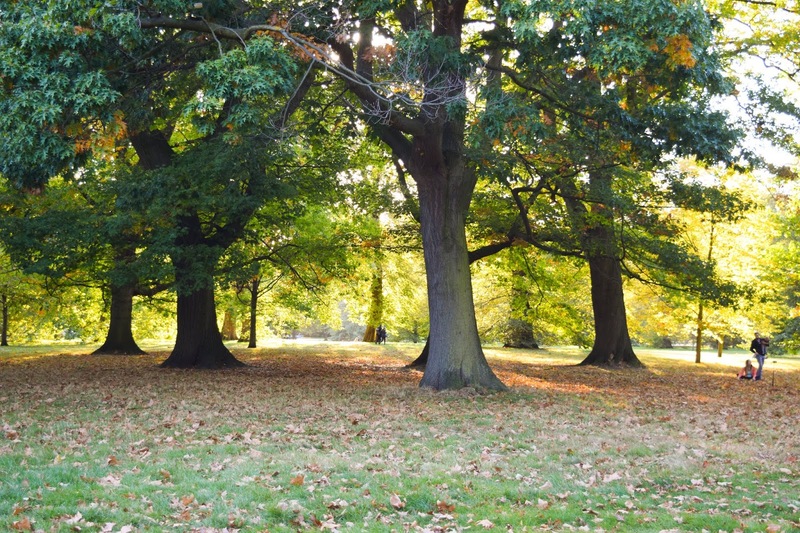 We agreed that we'd do the trip again and visit the gardens next time we come to London together - and maybe do that first to make sure we do it. It looks so beautiful and I heard so many great things about it. The walk although did give us a chance to eat some yummy chips we got from the street food stalls near Lancaster Grove. Lisboa Patisserie - There's a really lovely place that I've mentioned countless times on my Instagram called Lisboa Patisserie in Golbourne Road (near Notting Hill)that makes the most amazing Pasteis de Nata (Portuguese Custard Tarts). Honestly, you've not tried custard tarts until you've had these - and I urge you to get the ones that are more burnt on top because they taste better. You'll forget all about the Nando's Natas after you've had one of these. I've been going to this place for as long as I can remember and they're amazing. A perfect place for breakfast, brunch, lunch or just for a sweet treat! The museum was somewhere Angela had never been to. I couldn't believe it! I thought she'd been there on school trips but turns out she never visited it. 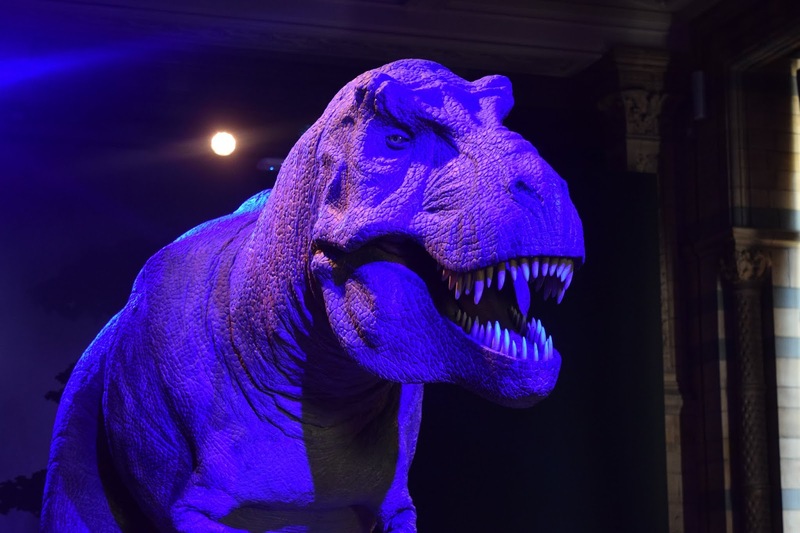 It's brilliant for people of all ages and anything to do with nature like dinosaurs, animals or even human development. It's a fantastic place. 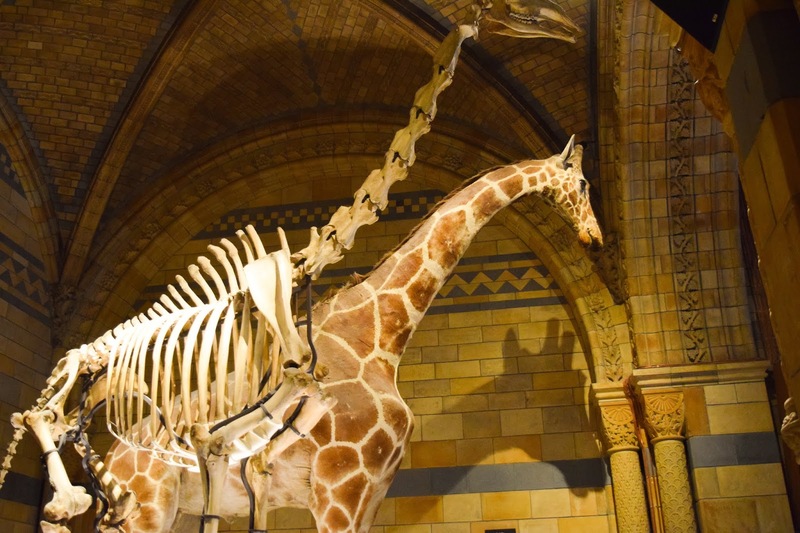 I really love seeing the dinosaurs personally. We took a quick peak at those and the animals too. 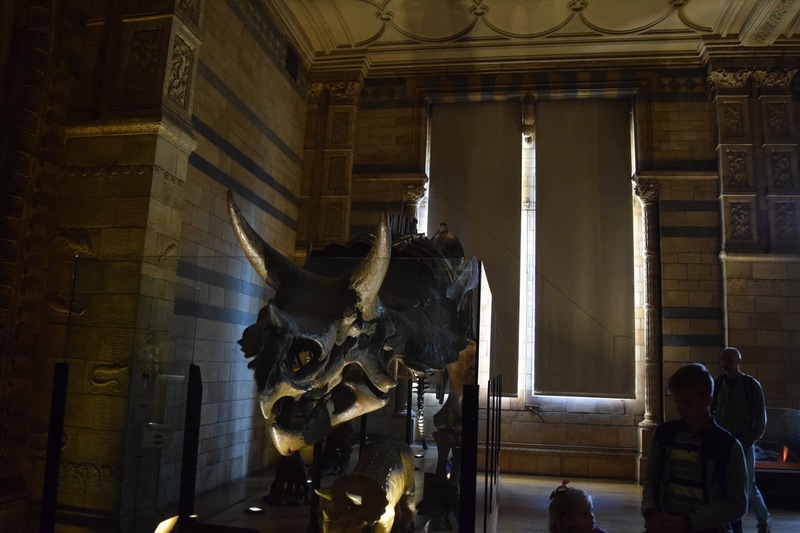 What's great about the museum is that it's absolutely free and if it's not for you, you've always got the Science museum and the V&A right next door. At Christmas there's always something lovely going on like ice skating outdoors too. The Royal Albert Hall - There is always something amazing happening at The Royal Albert Hall but this is more of a 'book in advance' situation. I've visited the hall a few times now, especially for mine and John's favourite concert: Distant Worlds. It's a magnificent venue for concerts and I suggest looking online to see if there is anything on there that interests you one day. The shape of the main hall is perfect for music and makes for a breath-taking atmosphere and experience. 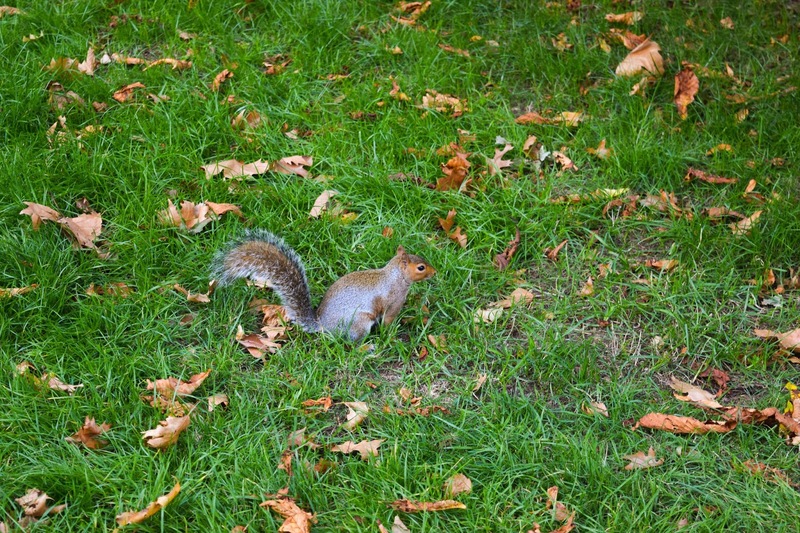 Though Kensington Park is part of Hyde Park, it's the part of the park I'd never been to. I'd heard about the round pond, Diana's memorial and more popular recently, the spot Harry and Meghan announced their engagement. I'd never seen Kensington Palace before either so it was nice to walk through the park and see that. I later learnt that you can actually visit the palace. 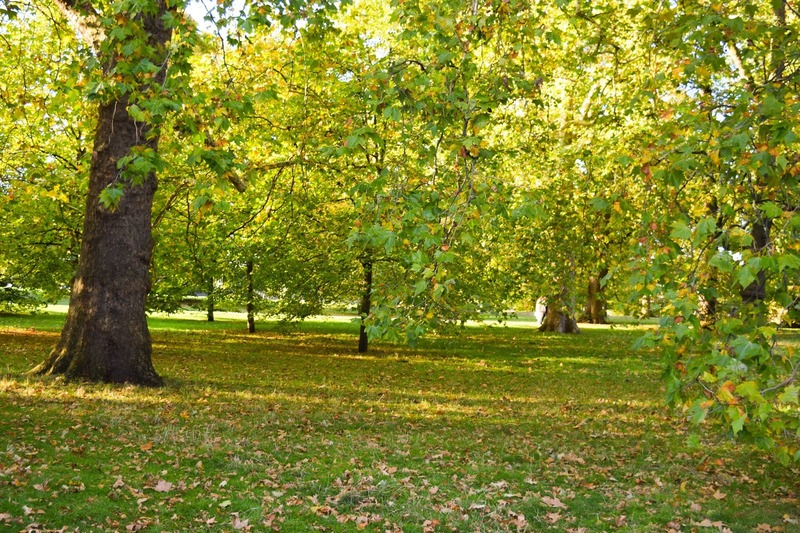 This is the sort of place you'd go to in Kensington if you're a huge fan of the royals or you'd like a beautiful and big park to relax in during the spring and summer seasons. Angela suggested that we should have got the Santander bikes. She's right! 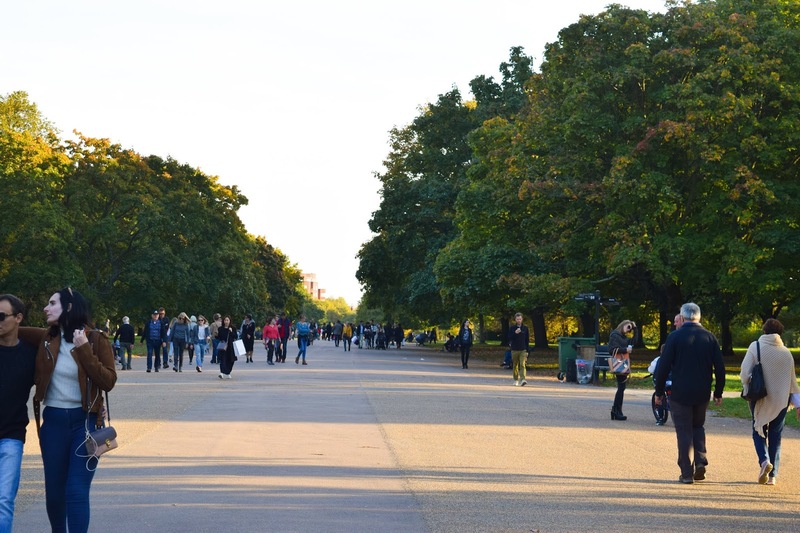 It would have been brilliant to cycle through the park on the bikes, just like lots of other people were doing. 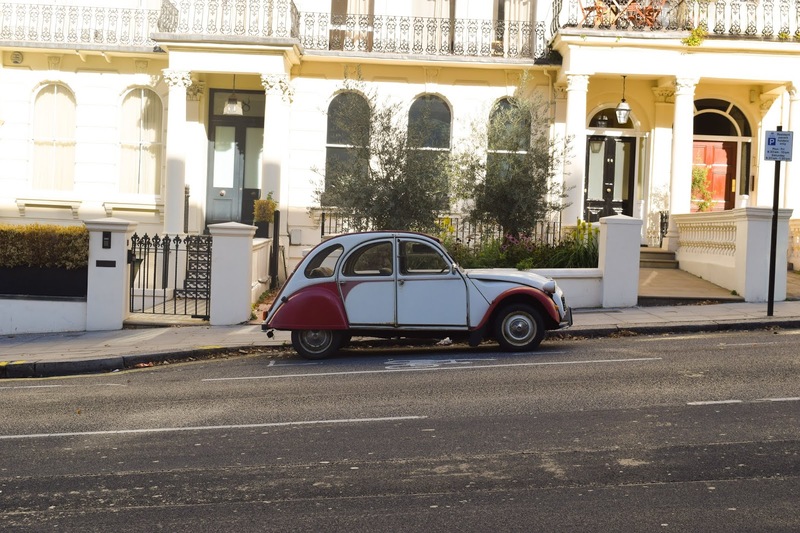 Kensington is an absolutely amazing part of London and one I love to visit often. Not only is there a huge amount to do but it's absolutely beautiful. The architecture, the colours and the way of life around there is colourful and exciting. If I was going to tell anyone to visit anywhere in London, apart from the main landmarks, it'd be Kensington. Because it has something for everyone and it's full of little secret places that even Londoners like me discover every now and then. There were other places I had in mind to visit. Some of these were: The Old Dutch (my favourite pancake place), Queens Skate. Dine. Bowl and I'd love to see what Kensington is really like at night. I didn't realise but the Kensington Roof Gardens closed earlier this year too but that would have been nice to see too. 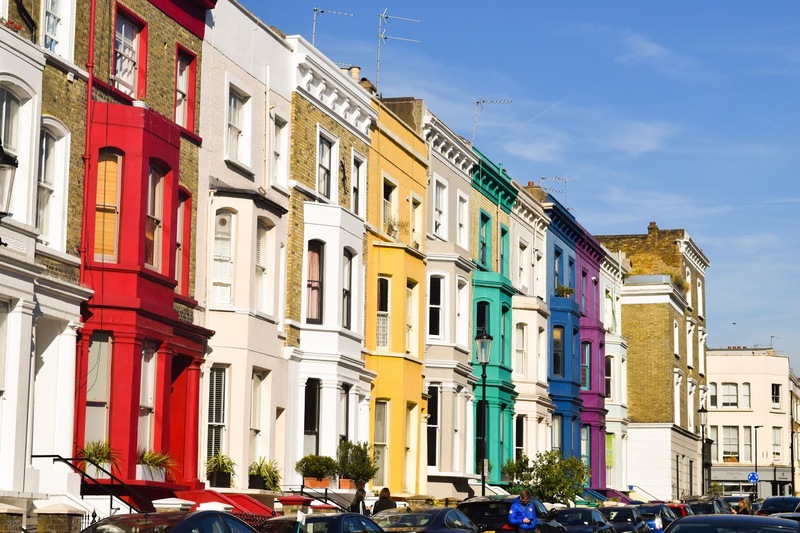 Have you got any recommendations for places to visit in Kensington? Where are your secret hot spots? Disclaimer: The spending money was gifted by Hotels.com, but all views are my own.